Mario Lopez has made many fans - and many people who are not fans - throughout his career. That makes him the perfect candidate to host the new reality show H8R, which lets celebrities meet with people who don't like them. 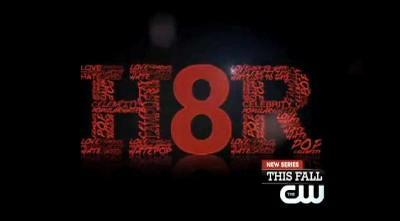 H8R will premiere on September 14th on The CW. The show will feature celebrities including Eva Longoria, Leah Remini, Kat Von D, Snooki and Kim Kardashian and Barry Bonds. In a way, this show looks like it will be fun. I'd love to see the celebrities try to win over people who strongly dislike them. I think in many cases, they'll be successful, because they'll get to show people that they're more than the persona that they portray on television. On the other hand, it would take a lot to convince me to be a fan of Danielle Staub, so I'm not sure it will always work out. The idea behind the show is to give celebrities a chance to rehabilitate their ailing images and show people that they're normal, just like the rest of us. (You know, except for being about 10,000 times more rich and famous.) The show is said to be a 'feel good' show (kind of like the feelings evoked from Extreme Makeover: Home Edition or Undercover Boss), so I highly doubt any of the episodes will end in a dramatic fight or anything like that. Although I wouldn't mind seeing one or two, to be honest. Life isn't always cake and roses, so I don't see any reason why all of the celebrity meetups should be the same. Except for the fact that Mario Lopez and the other producers probably only cast people who could easily be won over, of course. "(The Internet) provides a forum for cowards, quite honestly, because they’re in their home and probably chilling out in their underwear and saying all these vicious things. And then we thought it would be interesting, what if this person confronted the person they’re bashing, and would they say it face to face? Would they still have the guts to tell them to their face? And that’s what we’re going to find out, but because of the Internet, we’re able to find a plethora of haters." I wonder how the producers at Warner Bros. found the online haters and trolls. Maybe they just checked blogs and things? I wonder if I'd be considered a hater for some celebrities...although I'd say I'm probably not nearly as vicious as the people that will be featured on the show. I will definitely be giving H8R a try. I think it'll be interesting to see celebrities have to play nice with normal people. My guess is that some, like Eva Longoria, will come off as genuine and kind, and others, like Snooki, will seem a bit more fake and strained.